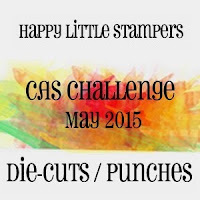 Justine's Cardmaking: Create a Smile Video Blog Hop featuring the NEW Sending Sunshine Kit! Create a Smile Video Blog Hop featuring the NEW Sending Sunshine Kit! Today I am beyond excited to be able to show off an amazing card kit created by Create a Smile. It is available tomorrow, Friday May 15th and don't wait because I think these will sell out super fast! You also can have a chance to win the kit over on the blog. Click here to watch the Video in better quality! Cute card. Your card makes me smile. I really like this stamp set in the kit. Brilliant use of the set Justine and great video. Lovely card and so joyful!!! I love the way you used the patterned papers for your background, and the colouring! Thank you for sharing and inspiring! Great use of the making waves dies and I love the lobster. Nice coloring on this. I like everything about this card. Thanks. Very sweet...love the colouring and the cute border detail. Love the layering. The white water adds realism. Cute Card!! Thanks for joining Through the Purple Haze Challenge. Fantastic Card Super Pretty! Thanks for the inspiration I so need to set my alarm to get this kit! Very pretty card. Who knew a lobster could be adorable? Hi Justine. Such an adorable card. Love the mix of papers for the background as well. 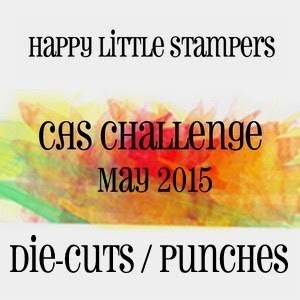 Thanks for playing along at Happy Little Stampers. Awsome card! Love love the kit. Adorable card and great video! I like this kit! Thank you for the video blog hop! Nice card and a great kit. Really cute card! I love your wavy sentiment strip. Lovely card and very cute and colourful kit. Such a sweet card! Beautiful design and such a fun little critter! 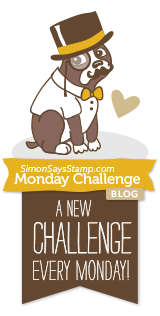 Thanks for sharing with us this week at the Simon Says Stamp Monday Challenge. We love seeing what people create! what a cute card. Made me smile.